There's always something. Something you just can't seem to stop doing, even though you know it's not good. Something that you know you really shouldn't have in your life, but you just can't seem to let go. Yeah, you know, your vices. For a lot of people it's cigarettes or alcohol. For some, like my friend Carrie, it's tanning and processed meats. Fingers crossed she doesn't actually read this, otherwise I'm probably dead. But for me? Well, I'm sure you can figue out my vice....you got it. It's food. 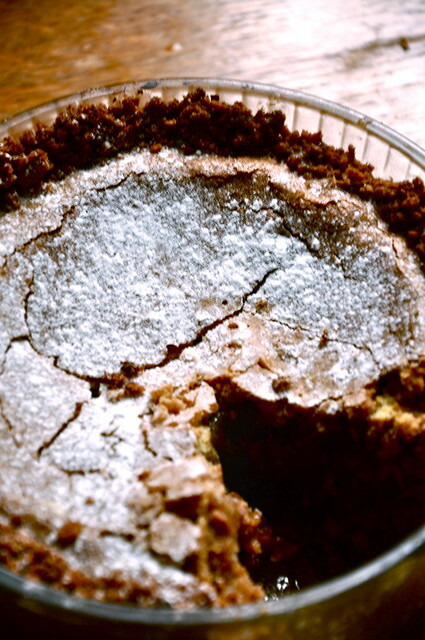 Crack pie is something I could only dream of for ages. The thought of something so wildly addictive, so moreish, that it would be named after a mind-altering drug really drove me crazy. Before heading to New York for my internship two summers ago, I said my prayers and hoped that it wouldn't live up to its name, that I would hate it. Maybe it would be sickly sweet? 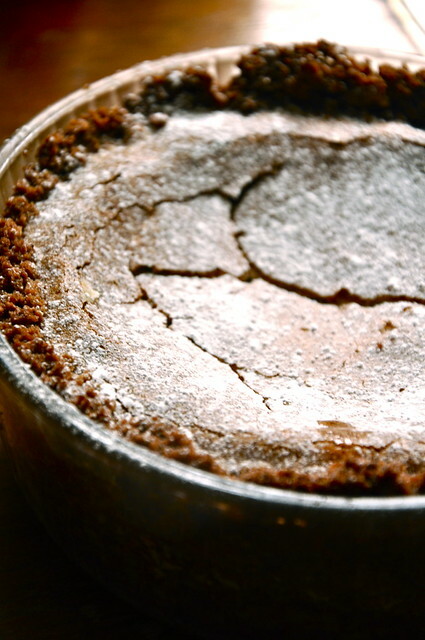 Or maybe that oat cookie crust would be dry and crumbly? Unfortunately for me, I acquired a new addiction that summer. Thankfully, though, I'm rarely near enough to justify a trip to Momofuku Milk Bar. 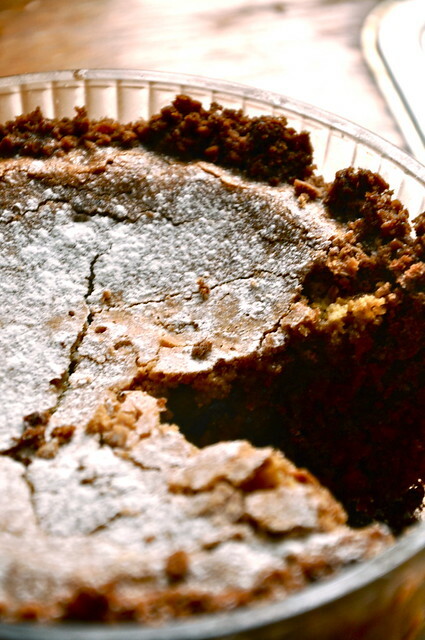 770 miles stand between me and a crack pie. Unless, of course, I take matters into my own hands. Honestly, if you have the time and are willing to sacrifice your life to pie, I recommend whipping this up. It's dangerously good, impossible to resist, and is sure to win you lots of new friends. What's not to love about that? Preheat oven to 350. Line a rimmed baking sheet with parchment paper and grease lightly. In the bowl of an electric mixer, beat 6 tablespoons butter, 4 tablespoons brown sugar, and 2 tablespoons sugar until light and fluffy. Add egg and beat until incorporated. Whisk together oats, flour, baking powder, baking soda and salt. Add to wet ingredients and beat to combine. Press dough into prepared baking pan and bake for 17-18 minutes, until golden brown. Let cool completely. 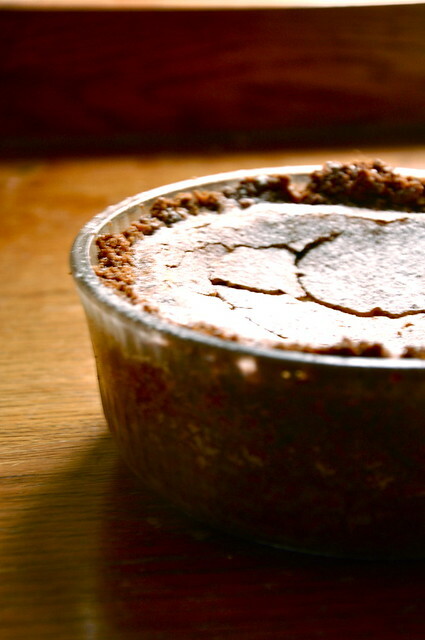 Once cooled, crumble cookie into a large bowl. Add 3 tablespoons butter and 1 1/2 tablespoons brown sugar until mixture is moist enough to stick together. Press into bottoms and sides of pie pan. In another bowl, whisk together both sugars, milk powder, and salt. Whisk in melted butter. Add cream, egg yolks, and vanilla and whisk to combine. Pour filling into crust and bake for 30 minutes. Reduce oven to 325 and bake for 20 minutes more, until top is brown in spots and set around edges but still slightly jiggly in center. Let cool completely. Sprinkle with powdered sugar.